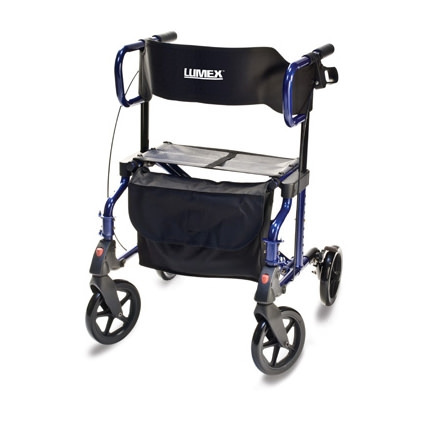 Lumex HybridLX is an innovative rollator that combines the function of a wheeled walker and a transport chair into one lightweight design. 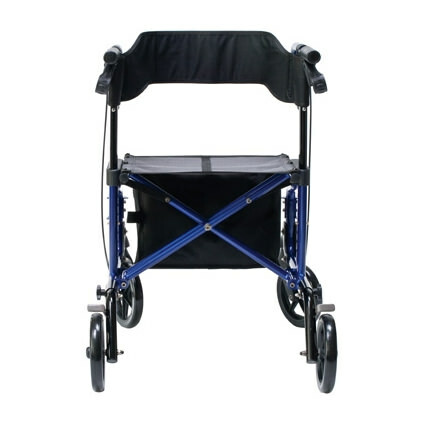 HybridLX transport chair has ultra-compact design which makes it easy to assemble without the need for tools and folds effortlessly for convenient transport and storage. 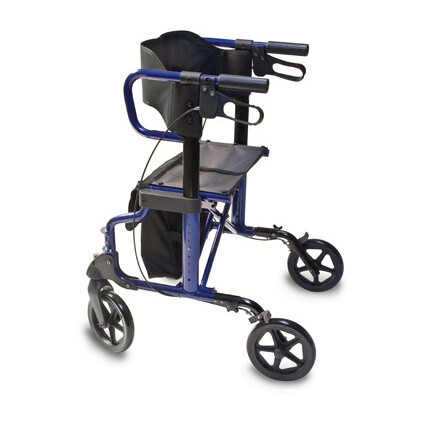 HybridLX rollator comes with secure handgrips, a comfortable and wide seat and backrest, and the effortless design to transition from a rollator to a transport chair. 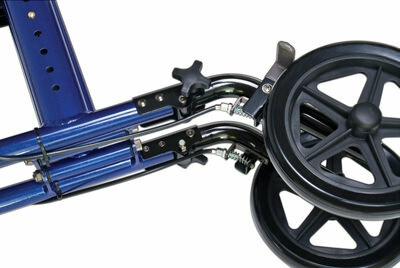 Hybrid rollator comes with large 8" wheels for easy rolling indoor and outdoor on rough surfaces. 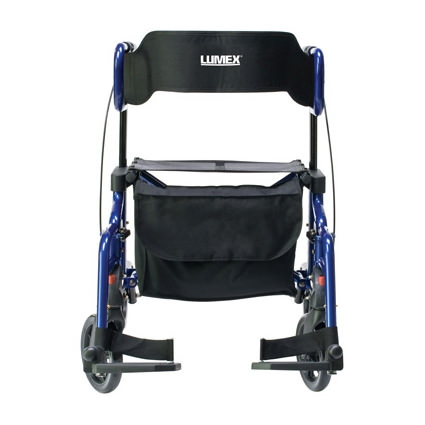 Lumex HybridLX is designed with hybrid concept which is used primarily as a rollator while easily transforming into a transport chair with removable footrests (adjustable in length) when user needs a short rest. 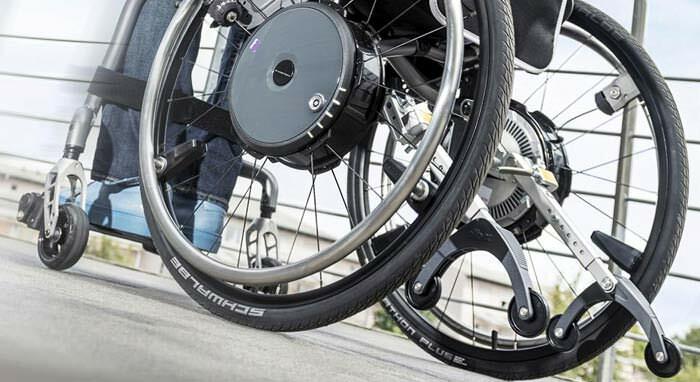 HybridLX features easy to use handbrakes that allows for short and longer period braking when used as rollator and transport chair. Overall depth (with footrests) 40"
Depth front to rear 28.5"
User height Approx. 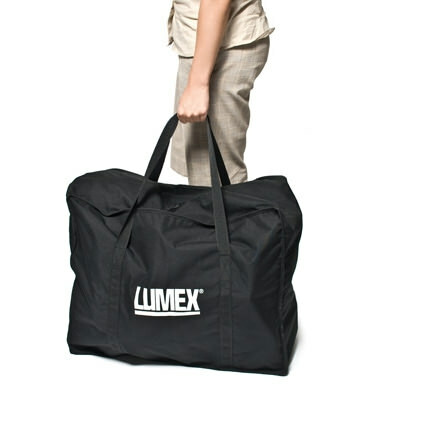 5'4" - 6'2"
Three year - Warranty on Frame.